We take a look at the best VPNs for Apple TV so you can unlock its full potential and access geo-restircted content. We'll also walk you through how to set up a VPN with Apple TV. 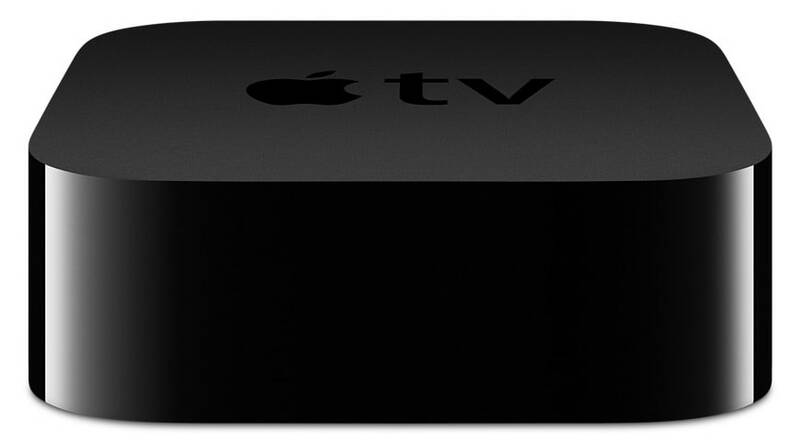 Whether you want on-demand video or live TV streams, you can’t go wrong with an Apple TV. But content varies widely from country to country, and in some places, you might not be able to use Apple TV at all. If you take your Apple TV out of the country where your iTunes account and payment method are registered, you could quickly run into geographic restrictions on the content you’re allowed to access. ExpressVPN Our #1 choice for Apple TV. Super fast servers in over 90 countries combined with ease of use make them idea for streaming. Includes a 30 day money-back guarantee. NordVPN Great priced VPN with strong privacy and security features. Works with most popular streaming services. IPVanish A range of fast servers to choose from, no logs, and secure. VyprVPN Leads with strong security and fast speeds, but does not allow torrenting. PrivateVPN Growingly popular service with fast speeds. Could do with more servers. You can unblock geo-locked content on Apple TV with a VPN. Short for virtual private network, a VPN service encrypts all of a device’s internet traffic and routes it through an intermediary server in a location of the user’s choosing. Unfortunately, Apple TV doesn’t support VPN software, but you can install the VPN on the wifi router that the Apple TV is connected to. More on that below. ExpressVPN tops our list of recommended providers for several reasons. First off, it’s proven time and again that it can unblock pretty much anything. That includes US and UK Netflix, Hulu, BBC iPlayer, Amazon Prime Video, Sling TV, and HBO Now/Go. Simply ask the 24/7 live chat support which VPN server to connect to for your preferred streaming channel. Over 1,500 servers are littered across 94 countries. ExpressVPN sets the gold standard for both speed and security. It always scores well in our speed tests and only uses the strongest encryption parameters, including perfect forward secrecy. The provider sets the bar even higher by allowing its subscribers to utilize its smart DNS proxy service with or without connecting to a VPN. Called MediaStreamer, this service allows you to send DNS requests through a proxy service and unblock geo-locked content without actually connecting to a VPN. This is especially useful for Apple TV owners because the device does support changing the default DNS settings. More on how to set this up below. If MediaStreamer isn’t enough and you want a full VPN to use with your Apple TV, ExpressVPN also makes its own custom router firmware. If you’ve got a compatible router, you can flash the firmware for free. Or you can purchase a pre-flashed router directly from ExpressVPN. The router firmware is already set up to be used with any ExpressVPN server, and it’s far simpler to operate than the competing DD-WRT and Tomato-based firmware. BEST VPN FOR APPLE TV:ExpressVPN is our #1 Choice. With a vast server network that is optimized for high-speed connections, it’s perfect for watching Apple TV. User-friendly apps for all operating systems. Hard to beat on privacy and security. There is a 30-day money-back guarantee so you can try it risk-free. If it’s value you want, look no further than NordVPN. The provider has a strong track record of unblocking Netflix, Hulu, HBO Now and Go, Sling TV, Amazon Prime Video, and BBC iPlayer among many others. Just consult the online knowledge base to find out which servers work for which channels. You’ll get a whopping six simultaneous devices on a single subscription. Over 50 countries are available to connect to, and each server is guarded by strong encryption. NordVPN features an encrypted DNS proxy tool called SmartPlay, which assists in unblocking geo-locked content. Smart Play can be used separately from the main VPN service but does require using the VPN app, meaning it can’t be configured by itself on a router. You’ll still need to go through the full VPN setup on a router, instead. NordVPN sells pre-flashed DD-WRT routers that come pre-configured with all the servers you’ll need to unblock content on your Apple TV. The NordVPN knowledge base also has several detailed tutorials on how to manually set up an existing VPN-compatible router. BEST BUDGET VPN:NordVPN is great on value. A good all-rounder that also works great with Apple TV. Strong security features and accommodates up to 6 devices. Includes a 30-day money back guarantee. IPVanish offers sturdy and fast connections to its owned and operated network of 850 servers spread across more than 60 countries. While it’s not as adept when it comes to unblocking the big American streaming channels like Netflix and Hulu, we do give it a resounding endorsement for Kodi users. A favorite among the Kodi community, IPVanish will work with any Kodi add-on you can throw at it. Check out our tutorial on how to install Kodi on Apple TV to get started. IPVanish allows five simultaneous connections, uses military grade encryption, and keeps zero logs of user activity. It uses private DNS servers and has DNS leak protection built in. If you prefer a router, IPVanish has detailed instructions on how to set up VPNs on common router firmware on its website. If your router isn’t compatible or you’re just not confident in your networking abilities, IPVanish sells pre-flashed DD-WRT routers that come with everything you need already in place. UP TO 10 DEVICES:IPVanish is a great family choiceas it allows 10 multiple connections. A favourite for Kodi users but look elsewhere if you want to unblock most popular streaming services. 7-day money-back guarantee. VyprVPN is a veteran provider that has beaten the geographic restrictions on content from Netflix, Hulu, and other popular streaming channels. It’s also a solid option for users in China who need to bypass the Great Firewall. The VPN is not only agile, it’s also a strong performer, featuring high-end encryption and fast download speeds. Our only complaint is that VyprVPN does log your real IP address for 30 days. The company operates VyprDNS, it’s own private and encrypted DNS service, which assists in unblocking and keeping your browsing habits safe. Unfortunately, subscribers can’t use VyprDNS separately from VyprVPN. A custom app is available for routers running Tomato firmware. If you’re a DD-WRT user, check out the website for instructions on how to set up OpenVPN. Or if you want to skip the hassle, try one of the pre-flashed routers for sale on Flashrouters. UNLIMITED DATA USAGE:VyprVPN is user friendly. Nice speeds and uptime as all servers are owned by VyprVPN. Not the cheapest option. 30-day money-back guarantee. PrivateVPN is looking to make a name for itself in the crowded VPN market by offering a fast service that can unblock US Netflix and a wide array of other streaming channels. The server selection is a bit more limited than others on this list, but it more than makes up for that in other ways. Connect up to six devices at the same time on a single account, and enjoy top-of-the-line encryption whenever you connect. PrivateVPN does not log any information about how customers use its service. PrivateVPN’s website posts tutorials on how to configure the service on a Tomato or DD-WRT router. The company recently switched over to using its own private DNS servers instead of public ones, which is a marked improvement, but they can’t be used separately from the VPN service. GREAT SPEEDS:PrivateVPN is easy to use. Allows up to 6 devices on the same account. Fast connections but could do with having more servers to chose from. 30-day money back guarantee. Can I use a free VPN for Apple TV? We recommend against using any so-called free VPN for Apple TV. First of all, most free VPN services require you use their apps, so setting one up on a physical router is already out of the question. While you can find configuration files for free OpenVPN servers lying around, they are probably too congested with other free users to use for streaming video. There’s quite likely a bandwidth limit or data cap, meaning you’ll be spending a lot of time buffering and could get cut off in the middle of a show. On top of that, free VPN services are notorious for mining users’ personal data as it passes through their servers, then selling that information to third-party advertisers. Some inject tracking cookies or advertisements into your web browsers, while others download malware onto your device. Free VPN providers are still out to make a profit, and they do so by selling your privacy to the highest bidder. Hola is a peer-to-peer proxy service that uses the idle bandwidth on users’ devices to power its network. So instead of connecting to a VPN server owned by the company, you connect to other Hola users’ computers. Likewise, other users connect to your computer when you’re not using it. This has serious privacy and security implications, and Hola itself exploited its users in the past. It once hijacked every user on its network to create a massive botnet and used it to carry out distributed denial-of-service (DDoS) attacks on websites. If that’s not an abuse of user trust, we’re not sure what is. Hotspot Shield is one of the more popular free VPN services out there, but the company uses some shifty data retention and advertising practices. A recent FTC complaint filed against the company accused Hotspot Shield of hijacking users’ HTTP requests and redirecting them to affiliate websites. The company’s VPN software is also known for injecting tracking cookies into users’ browsers, allowing them to mine browsing data and sell it to third-party advertisers. Because Apple TVs don’t natively support VPN connections, the next best thing is to install the VPN on your home router and then connect the Apple TV to that router’s wi-fi network. How you do this depends on your router’s firmware and level of expertise. You have two main options: a physical router and virtual router. Some routers support VPN connections, and some don’t. You can log into your router dashboard by opening a web browser and typing 192.168.1.1 or 192.168.0.1 and entering your user credentials. If you’re not sure what your credentials are, consult your ISP, router manual, or Google the default username and password for your particular router model. Once you make it to the dashboard, look around for a way to set up a VPN connection. If none exists, you can potentially replace the firmware with an open-source alternative that does support VPNs. Our two recommendations are DD-WRT and Tomato. We’ve got setup instructions for DD-WRT here. But be warned: you must use the correct version of a firmware that is compatible with your specific router. If done improperly or with incompatible firmware, you could permanently damage the router. If that sounds intimidating or your router isn’t compatible with Tomato or DD-WRT, consider purchasing a pre-flashed router from your VPN provider. Pre-flashed VPN routers come configured with all of your VPN providers’ servers right out of the box. From our list above, ExpressVPN, NordVPN, and IPVanish all sell pre-configured routers, and ExpressVPN is probably the best. Setting up a VPN on a virtual router is much less daunting than doing so on a physical router, but you will need a spare laptop lying around to get it working. A virtual router uses your laptop’s existing hardware to create a wifi hotspot for other nearby devices. By connecting to a VPN and then broadcasting a wifi signal, your Apple TV can share the laptop’s VPN-protected internet connection. We’ve got tutorials on how to set up a VPN-enabled virtual router on Windows and MacOS. Another option for Apple TV users who want to unblock geo-locked content is a DNS proxy, or smart DNS. This doesn’t provide the security or privacy of an encrypted VPN tunnel, but it does work if you just want to unblock certain streaming video services. DNS, or domain name system, translates the domain names for apps and websites into server IP addresses. Whenever you open a website in your browser, for example, a DNS request is sent to a DNS server, and that DNS server finds the appropriate IP address for the web server hosting the site. By default, DNS requests are usually sent to your ISP’s servers, which are located in your home country. Many video streaming websites check where DNS requests come from in order to identify a user’s location. By forcing your Apple TV to send DNS requests to a different server in another country, the content on these websites can be unblocked. It won’t slow down your connection like a full-on VPN, but it’s not quite as private or foolproof as a VPN, either. Enter the DNS address from MediaStreamer or whatever DNS provider you’re using. It should be a string of numbers and decimals. And that’s it! This method works particularly well for bigger players that use CDNs to provide content, including Netflix! But how successful it is depends on your DNS provider. We recommend MediaStreamer, which comes at no extra charge with every ExpressVPN subscription. Setting up a smart DNS proxy on older models of Apple TV is slightly different than newer models. First, you may need to change your location settings. Once that’s done, it’s time to set up the DNS servers. Enter the DNS address from MediaStreamer or whatever DNS provider you’re using. It should be a string of numbers and decimals. Confirm with Done. A restart is required for changes to take effect. Go to Settings > General > Restart. Note that the smart DNS proxy service you use may require additional steps to register your device’s IP address with the service. The exact setup process varies from service to service but is generally not that difficult; just follow the instructions on your VPN provider’s website. Kodi can be installed on Apple TV 2, 3 and 4. The free and open-source home theater software requires a bit of work to get up and running, but it can be done. We’ll show you a few different ways to do it in our tutorial on how to install Kodi on Apple TV. We strongly recommend the use of a VPN whenever using Kodi on any device, be it an Apple TV or some other set-top box. This will prevent your ISP from snooping on your activity and throttling bandwidth. A VPN will also help prevent hackers from carrying out common attacks on the Kodi platform. You can find out what apps, features, and content providers are available in your country on the official Apple website. 12 Can I use a free VPN for Apple TV? 7 Can I use a free VPN for Apple TV?